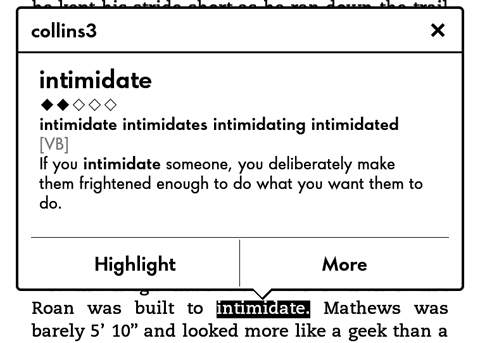 Obviously, it is common for Kindle users to use the default dictionary to get to the words or expressions we didn’t know before. And the one who raised the question may not be the only person that has encountered the dictionary problem on Kindle. To our appreciation, there are definitely useful ways that have been figured out to solve the problem, which is to add dictionary to Kindle. Just take a minute to get the solution of how to add dictionary to Kindle here. Actually, there are a bunch of free Kindle dictionaries in MOBI format that you can download online or from the Kindle cloud. If the dictionary you downloaded is not in MOBI format, you can try Prof. DRM to convert the dictionary to Kindle suitable format. 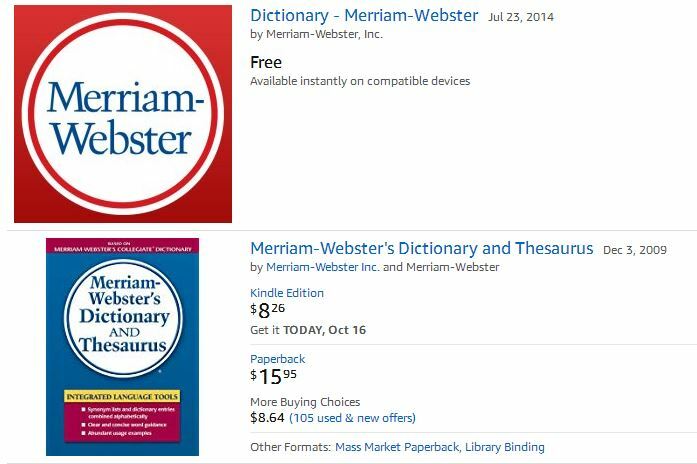 You can download a dictionary for Kindle freely from the internet or buy one from Amazon Kindle Store. Here I got a Collins CobuildV3 dictionary file for free. There is a USB cable for Kindle which can be connected to the computer. Then you can find the “documents/dictionaries” folder when entering the Removable Disk called “Kindle”. Find the dictionary file you downloaded and copy it, then paste it to “dictionaries” file folder. Now you can go to your Kindle and make the dictionary file work for your reading. Go to Menu>Settings >Device Options >Language and Dictionaries, and then press Dictionaries. By pressing “Dictionaries”, you will see “Oxford Dictionary of English” as the current default dictionary. Press it to see all listed English dictionaries, and then choose “collins3” as the default dictionary. Now you can read the ebook joyfully with the help of collins3 dictionary, which will give you more detailed explanations for the new words you are not familiar with. With dictionary Kindle downloaded, you will be intended to read more good books without misunderstanding when meeting some unfamiliar words or expressions. Then how about reading a foreign language book on Kindle? For instance, when you have a French e-book or Japanese e-book, how could you change Kindle dictionary language so that you can read the foreign language books smoothly? Here comes the easy way as well. When you are willing to read a French book on your Kindle, obviously you need a French-English dictionary right away. So it does, you must add dictionary to Kindle and change the language for French books. Here comes the way. Follow the guide above to download a French dictionary from the internet or Kindle Store, then get it on Kindle. If this is the first time for Kindle to get French dictionary, it will be chosen to be the default dictionary for readers. 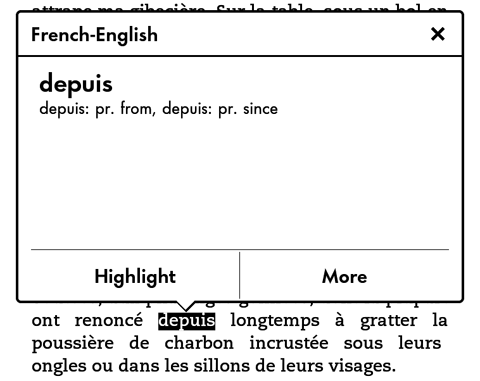 If not, you can change Kindle dictionary language to French on “Dictionaries” option. Now you can open your French e-book, press and hold on a word that you cannot understand to check the meaning freely. To be concluded, reading e-books of different languages on Kindle would be easy and enjoyable since users can add dictionary to Kindle freely based on their different needs. In addition, Kindle change dictionary can be done by any users with just a few simple steps. Once you know how to add dictionary to Kindle, you will never be interrupted by the new words any more.